April 12, 2013 by sammysamgurlLeave a Comment on Cinnabun Proats! Hey! Sorry for not posting sooner, I have been keeping busy with a new workout program and lots of homework haha 🙂 But thankfully it’s the weekend and that means sleeping in and new recipes! Wahoo. Anyways here’s a recipe to start off your weekend! I will also be posting a caramel banana nut oatmeal recipe that is out of this world very shortly so look out for that too! optional: 1 drop stevia sweetener (or another sweetener to taste, I found I didn’t need it since my protein powder was already sweet enough with the banana). Directions: Combine oats, almond milk and water in a bowl and microwave for 2 min(more or less depending on your microwave but you don’t want the oats too runny). Once cooked add your protein powder, cinnamon, vanilla, banana & half or all the raisins(I like to keep some to top it with!). Stir to combine and top with almonds/raisins/additional cinnamon and syrup. Enjoy! 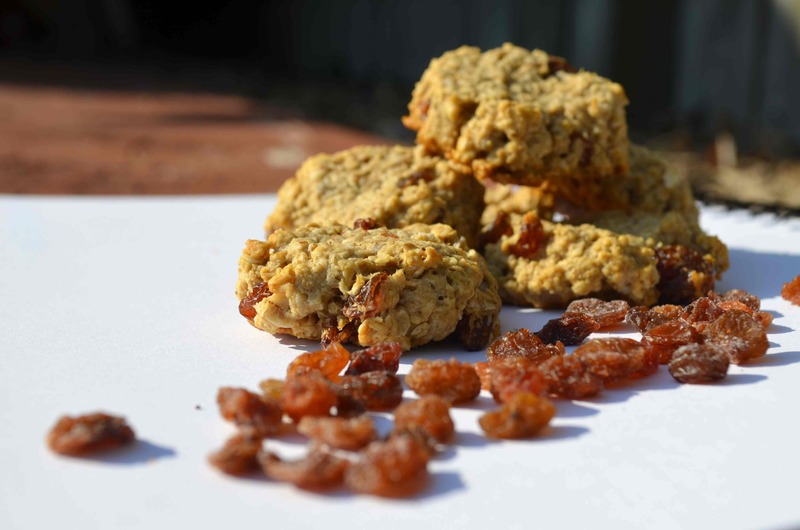 Sugar-Free, Low-Fat, Low-Carb, Mini Oatmeal Raisin Cookies! November 16, 2012 by sammysamgurlLeave a Comment on Sugar-Free, Low-Fat, Low-Carb, Mini Oatmeal Raisin Cookies! Wow that’s a mouthful of a name! But I had to let you know how great the nutrition facts for these little cookies are! They have super healthy ingredients and have a buttery taste from the coconut oil! Take me to the recipe! That’s right it’s not just apple & peanut butter..it’s apple BUTTER & peanut butter! This recipe is absolutely perfect on a cold day. The added protein powder will help keep you full throughout the day! Take me to the recipe!